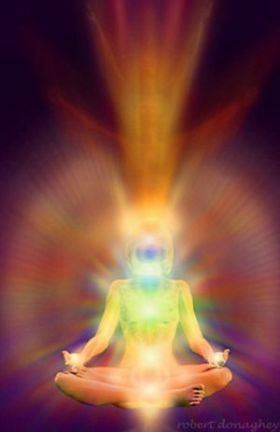 In the teachings of Kundalini Yoga, the human being has 10 bodies not 1. The second body is known as the negative mind. Its role is very powerful and often misunderstood. It is the part of the brain which reacts negatively to everything it encounters. It’s ultimate role is to preserve and protect us. It calculates risk and finds potential pitfalls to keep us from harm. Its absolutely impossible for it to respond positively to anything; that is the role of the positive mind (or 3rd body). 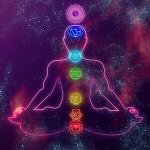 While it is a part of the three minds (positive, negative and neutral), the 2nd body holds a very important relationship with the Subtle body and the Soul Body. When the negative mind is out of proportion, we become full of anxiety, fear and self-doubt. Yogi Bhajan taught that doubt was the enemy of the human. A negative mind that is too strong can overwhelm the positive and neutral minds and interrupt the flow between the Soul Body and the Subtle Body, leaving you disconnected and sad. A negative mind that is too weak can leave you exposed to danger and foolish decisions. Along with balanced 3rd and 4th bodies, one with a balanced 2nd body then has the ability to make calm and clear decisions. The 2nd body also relates to the second chakra. The 2nd chakra is one of creativity and sexuality. A balanced negative mind helps to bring our creative thoughts into action, providing a protected and nurtured space for these ideas to flourish. It is something like a mother who watches over a child in the kitchen, and seeing the child get too close to the stove, admonishes them to move back. It is her job to help the child grow and thrive, and the job of the negative mind is to help the 1st body, the soul body, grow and thrive in this physical world. A weak negative mind can also make one ungraceful in social situations, as their restraint will be weak. How do you relate to the negative mind? You can’t simply repress it. You must listen to it, but you must also listen in a balanced way to the input of the positive mind and then make a judgement using the neutral mind (which you can access in meditation). This is the wisest way of making decisions. Recognize that the modus operandi of the negative mind is to fit in well. It wants to belong and be safe. Relating to your negative mind in a loving and nurturing way and seeing it as benevolent rather than malevolent will help forge a strong and conscious relationship with this aspect of yourself. 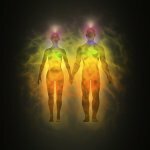 Physically, imbalances in the 2nd body may be manifesting in sexual dysfunction, kidney problems, urinary track infections and menstrual problems. Numerologically, people born in February or those born on the 2nd and 20th of the month would do well to keep their negative minds in balance. “Ong Sohung”. This powerful mantra affirms that you are one with all that is. The negative mind has a strong sense of longing to belong, and this mantra will help soothe it and give it a deeply connected relationship. It is a mantra of belonging. 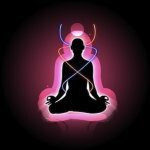 The Negative Mind Kriya for Protection is a great kriya for the 2nd body. It can be found in the book “Waves of Healing”. Obedience doesn’t mean bowing down to another person. Obedience means to bow down to your SELF, to your own soul’s desire, as in the mantra “Ong Namo Guru Dev Namo“, meaning I bow to the highest wisdom within myself. Natural aging and the process of maturity strengthens the negative mind so that some of the rash impulses of youth quiet down. You also learn not to be so critical of yourself constantly as the negative mind stabilizes, a problem many people have, especially youth. With Kriya and meditation like those in “The Mind” by Yogi Bhajan, you can gain mastery over the three minds. They are so closely interrelated and needed to function in tandem, that balancing them all is desirable. Cucumber juice can balance out kidneys and bladder, stimulating the water element (which also relates to the 2nd body). Guru Angad was born Lehna in 1504 and was known as a holy man of great devotion and humility. When he met Guru Nanak, his obedience, devotion and spirit of service led to him being named the next Guru. He was devoted to selfless service, dignity and honest labor. He extended free kitchens and created the Gurmukhi script, with which the sacred writings of the Sikhs are preserved.